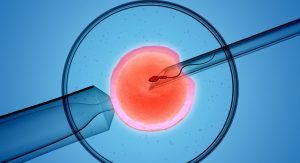 There is already plenty of evidence to show that in vitro fertilization, or IVF, has led to the commodification of children. An article published in the New York Post is certain to fan those flames. A mother named Lisa explained that she is looking to trade her last remaining embryo with another mother — simply because the embryo is female instead of male. Lisa said her daughter is the last embryo she has remaining after going through multiple rounds of IVF. Both women have their children frozen at IVF storage centers. After several unsuccessful IVF attempts with other male embryos, they tried again, and froze their daughter. Altogether, they have spent over $45,000 on IVF and pay $1,000 a year to to keep the embryo frozen. And they say that their financial situation also is a factor in their decision to trade their daughter for a son. “Economically, it makes sense for us to have a boy,” Lisa said. “We have a two-bedroom house with no space for a third bedroom. We bought it when Daniel was an infant, and now prices have risen so much in this neighborhood. There is no way we could afford [a separate bedroom for a girl]. We’d have to move to Nebraska.” They claim that adoption is too expensive. Disturbingly, Lisa seems to understand completely that she sees her child as nothing more than a product to be bought… and sold. “I made up my mind as a reaction to losing the $12,000. Now I have a commodity — something I can leverage,” she admitted. This is the dark, yet unsurprising, reality of what IVF has become. It is the ultimate dehumanization of children, with people turning embryos into jewelry, or aborting them because the baby has a disability, or become pawns in custody battles. And when it comes to gender, little girls are often the unwanted ones, as parents around the world refuse to let go of their preference for boys. “Lisa’s” story shows just how far our twisted view of preborn children has become. No longer do we accept their humanity. Instead, they are just things we can create at will, and then throw away when they’re not wanted. This entry was posted on Wednesday, November 7th, 2018 at 3:31 pm	and is filed under News & Commentary. You can follow any responses to this entry through the RSS 2.0 feed. You can skip to the end and leave a response. Pinging is currently not allowed.